She has an inspirational Aliyah story and advice to future Olim that you must listen to! Her creative business is thriving! 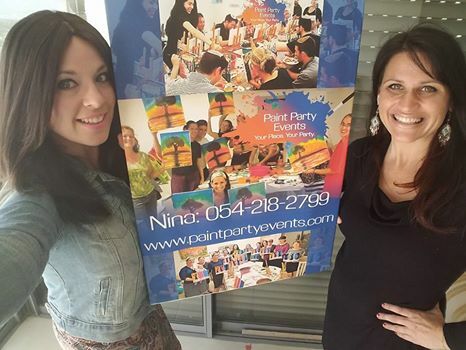 Make sure to check it out and sign up for your exciting Paint Party! Thank you Nina for sitting down with me! Continued success in everything you do!